It’s a Halloween tonight! I live in England so I am going to be subtle in this more American tradition. 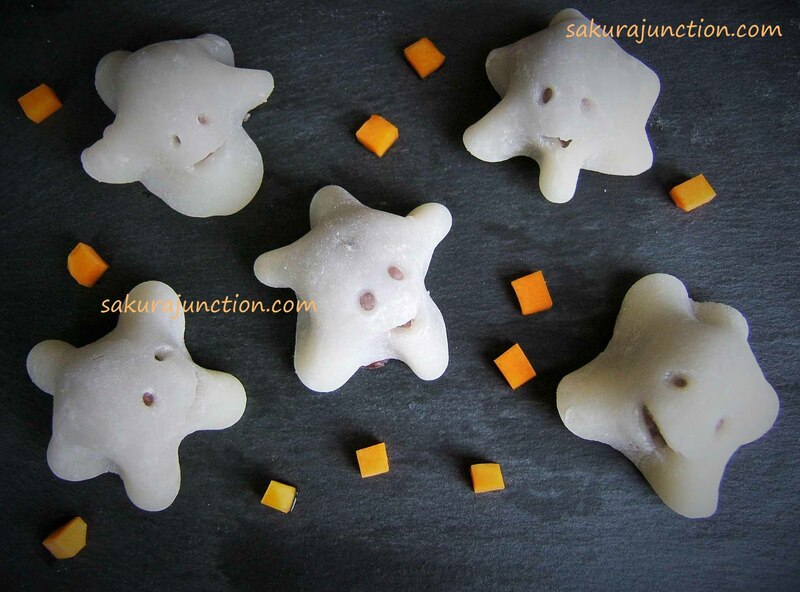 It is with the same ingredients as normal Japanese sweet ‘Daifuku (大福、だいふく)’ by using ‘Tsubu-an (粒あん)” and ‘Mochi (餅、もち)’. 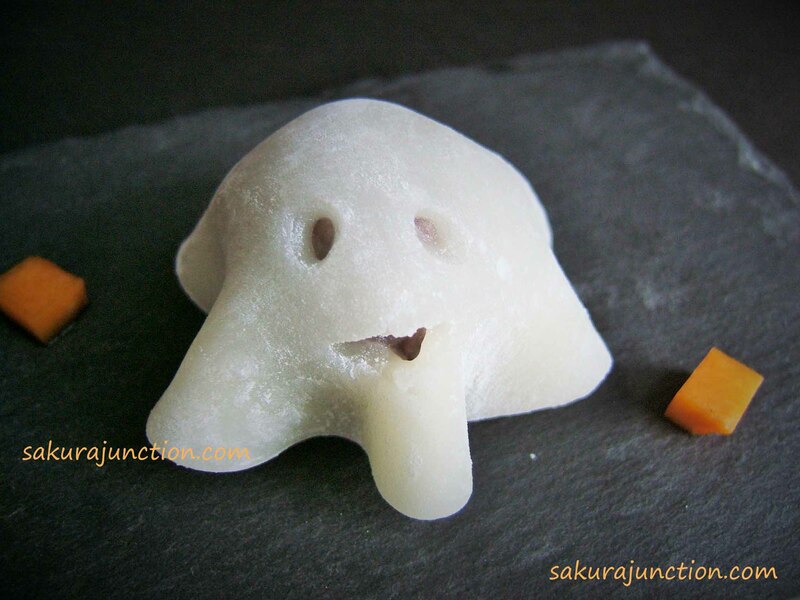 I just made it into a shape of ghosts instead of wrapping the Tsubu-An completely with mochi. 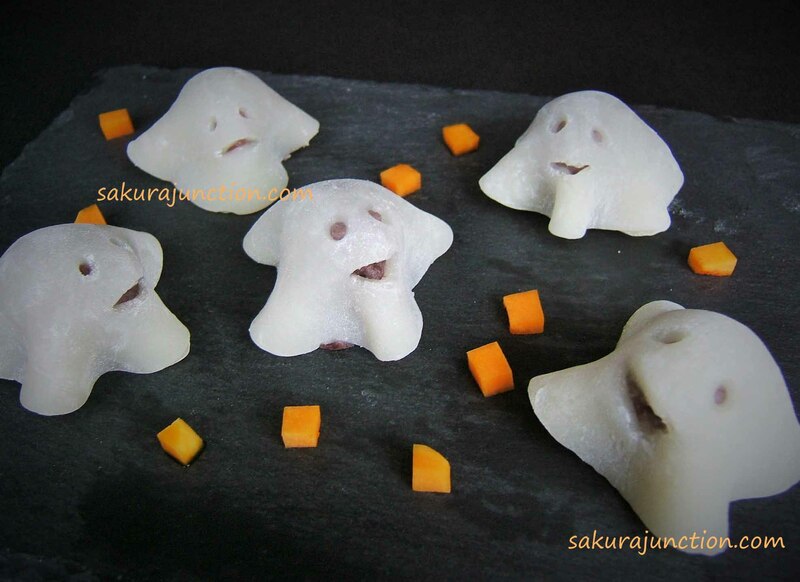 The eyes and mouth are holes I created on mochi sheet and each Daifuku came out with a little bit of character. 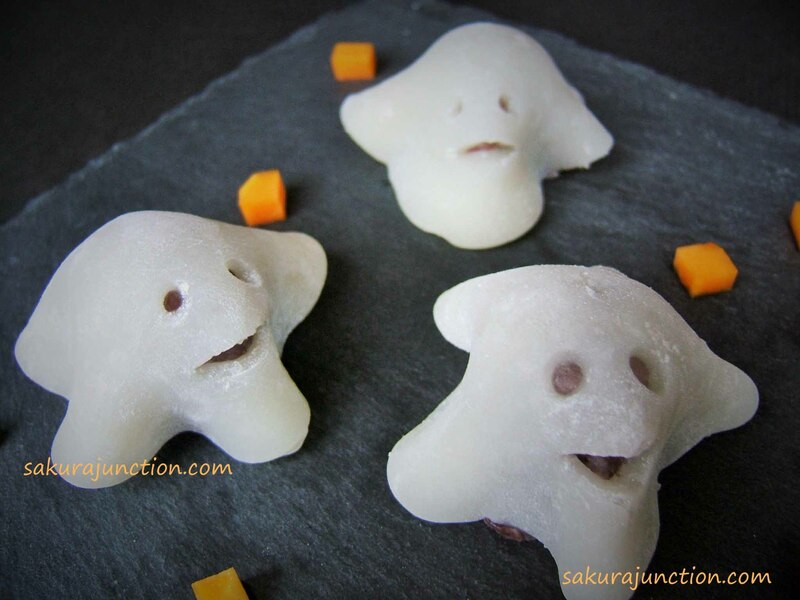 It was not perfect but these little ghosts are rather amusing. Be safe Everyone and have a Happy Halloween! !